We offer tours for the curious beginner, the active, the epicurean and anyone the would like to experience our beautiful archipelago. The trips begins and ends at our well situated kayak centers with waters suitable for beginners as well as the more experienced paddler. We offer fully equipped kayaks from Seabird and we help you find a suitable model matching your requests and needs. We offer safe and secure paddling in stunning environment. We also offer guided daytours and camping tours. 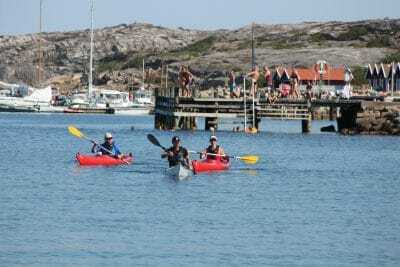 This tour is perfect for beginners and everyone that are interested to learn the basics of kayaking. You do not become an expert after this tour but you will learn the basics and gain confidence. No previous experience required. Read more about our Kayak Intro Tour. If you are planning a longer kayak trip this is the tour for you. We talk about equipment, route planning and risk assessment. We also practice different towing techniques, rescue both for group and solo kayakers. 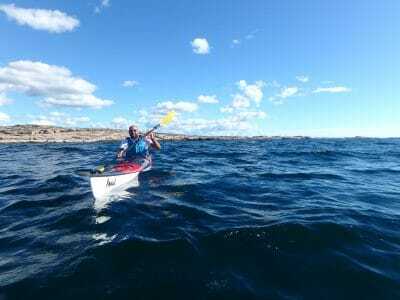 Previous kayaking experience required, read more about Basic Safety. 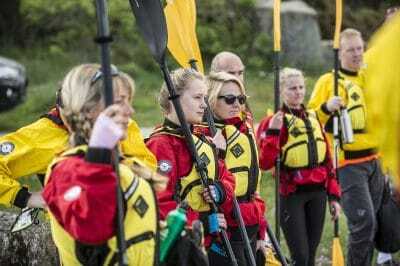 The canoe and kayak federations in Europe has set a standard certification system with regards to kayak skills, safety and environmental concerns. The goal is to offer a mutual, clear system for improved skills and knowledge for all levels and areas within the kayak and canoe federation. The requirements are pretty much the same in all countries som local adjustments has been made with respect to nature and local differenses. 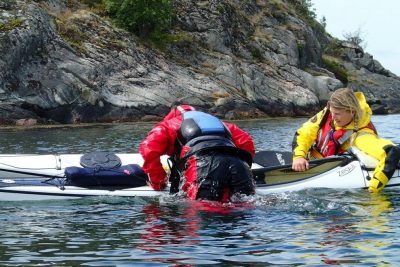 We offer courses for sea kayaks level 1, level 2 and level 3. Zet Freiburghaus former Sweish and Nordic champion in sprint shares his knowledge and experience of paddling and roll techniques. This is a unique opportunity to be coached by a competitor in world class, read more and book here.